Without a doubt, this has been one of the most devastating hurricane seasons that we've ever seen in the Atlantic Ocean. Only weeks after Hurricane Harvey pounded Texas and Louisiana, Hurricane Irma brought widespread damage to Florida, the Caribbean and parts of the Southeastern United States – with the potential for additional storms before the Atlantic hurricane season ends in November. The unprecedented season, which has now caused well over $130 billion in damages in the United States, has already set a number of notorious records. This is the first-time ever that two Category 4 hurricanes have hit land in the U.S. in a single season. Harvey produced the highest level of rainfall by a tropical cyclone in the contiguous U.S. ever, and Irma was the most intense Atlantic hurricane to strike the United States since Katrina in 2005. With these two historic storms now past, the regions hardest hit have begun the long, arduous process of recovery, rebuilding homes, communities and infrastructure, including the electric infrastructure that delivers power to your home, which was hit particularly hard in Florida. According to Florida officials, an estimated seven million households and businesses suffered power loss at some point during Irma’s destructive path through the state, and Florida Power & Light, the state’s largest electric utility, reported about five million outages – likely the most ever suffered by a single utility during a single weather event. In the past several weeks, local electric utilities from Texas to Florida have been working around the clock to restore power to customers, and utility crews from as far away as New York and Wisconsin have driven to storm-ravaged areas to assist with the restoration process. The devastation from these two storms, particularly to the electric grids, has been unprecedented. Yet despite this, utilities in the areas affected by the storms have – for the most part – been able to restore power relatively quickly, thanks to the tireless dedication of thousands of linemen but also to significant investments in storm-hardening, smart grid technology over the last few years. 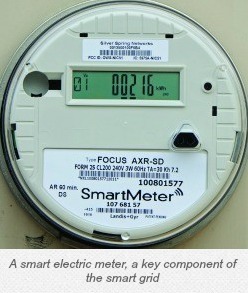 What exactly is a “smart grid”? And how does it help with power reliability and restoration during and after a major storm, like Irma or Harvey? Simply put, a smart grid incorporates communications technology so that parts of the grid can “talk” to others. While a traditional electric grid is typically built using a “hub-and-spoke” pattern, a smart grid can connect the “spokes” to enable multiple paths for power to flow. When a tree falls on a power line or lightning strikes a transformer, for example, smart grid technologies can sense the problem and automatically reroute power around it. This can mean the difference between a lengthy outage and a momentary flickering of the lights. Smart grid technology can also automatically alert the utility to outages and help diagnose problems before sending a service crew. This can help ensure that the crew has the right equipment to fix the problem, which significantly reduces both the time and cost for restoring power. During a major storm, like Harvey or Irma, when power goes out, there are likely multiple problems on the grid. 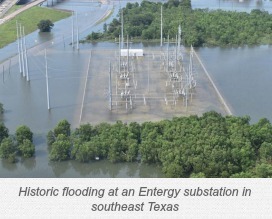 Before the smart grid, multiple outages like this could be difficult to diagnose. After fixing one problem, service crews would sometimes leave an area with multiple outages believing that power was back on for all customers, causing tremendous frustration for customers whose power was not restored. With smart grid technology in place, we have more information and data on the health of the grid. For example, in areas where a smart grid has been deployed, utility crews can “ping” meters at homes or businesses in an outage area to make sure that power has been restored. This facilitates more effective diagnosis and restoration of multiple outages. The road to recovery for parts of Florida and Texas that were hardest hit by Irma and Harvey will be a long one. While electric utilities in these regions have been working diligently to restore power to their customers, thousands of power poles, transformers and miles of wire will need to be replaced due to the historic destruction. However, significant progress in power restoration has already been made, with several utilities reporting 99-percent restoration within a week of the storms. This progress has, without a doubt, been accelerated by significant investments in smart grid technology by utilities in the affected regions. For example, both Florida Power & Light and CenterPoint Energy, the largest electric utility in the Houston area, have been on the forefront of grid modernization initiatives for hardening their electric grids against storms in recent years. These investments in smart grid infrastructure have improved storm response preparedness and have reduced power restoration time, helping these communities rebuild and get back to normal life faster. For more information, click here to view our short video on how the smart grid keeps your power on. Other videos on smart meter data privacy, smart grid innovation and smart meter radio frequency waves can be found on our YouTube channel.